BMW says there hasn’t been enough customer demand for a more powerful i8. The fate of the BMW i3 and i8 looks uncertain, as BMW . With the BMW i4 and iNext EVs due to launch in 2020 and 2021, BMW may find it hard to justify keeping the i3 and i8 in production, so they may not be replaced. 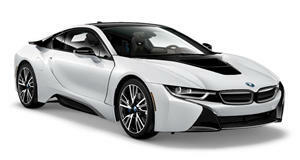 A successor to the i8 hybrid sports car however, so we’re keeping our hopes up. In the meantime, if you’re hoping for a more powerful S version of the in the vein of the , you’re going to be disappointed. Speaking to during the launch of the i8 Roadster, product manager for the i8 Roadster and Coupe Marcus Pluntke revealed that the will keep the same powertrain variant for the foreseeable future. While sales for the new i8 Roadster have been encouraging, there hasn’t been enough customer demand for a high-performance version of the hybrid sports car. “Customers are very happy with the performance it has. Especially as it is so quick, you know the electric motor’s response is like immediately, like reading your mind, and that is what customers really ask for in a sports car,” he said. “They don’t say ‘ooh, I need more power’ quite the opposite they say ‘It’s so fast on public roads. I can’t believe how quick it reacts and how quick it is’”. Pluntke also ruled out the possibility of introducing a more affordable entry-level i8 to attract new customers. “If you do a proper sports car – especially a BMW – it will always have proper sports car performance and with the i8 I think it does have that, we will keep it this way,” he said. With a top speed of 155 mph and a combined output of 369 horsepower, the is certainly no slouch. 0-62 mph takes 4.4 seconds in the Roadster, while the Coupe will do the same sprint in 4.2 seconds. But we can't help but feel it still has plenty of untapped potential, particularly as the updated 2019 model received a slight power increase and improved range. Unfortunately, with a hot S model now ruled out and a successor yet to be confirmed, we may never see the i8 become the car we know it can be.